In many situations, points are a sign of praise and excellence… which is the complete opposite in the world of driving. Points on your license will not only become very costly in terms of your insurance, but they could result with your driver’s license being revoked altogether. Thankfully, we’ve compiled information you should know as a driver to avoid these points and the headaches that come along with them. With this being said, here’s a look at some of these easily avoidable issues. The issue these marks leave on your driving record is that they can seriously effect your auto insurance costs… even if there’s no point system on your record. Some driving violations won’t add points to your license, but there’s still a price to pay… whether it be immediate or long term. 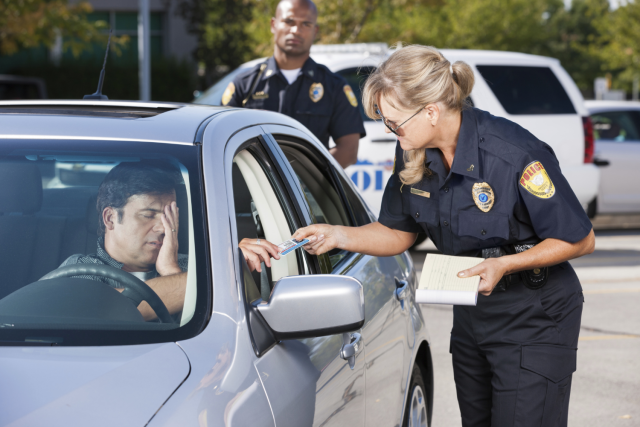 As most violations such as fix-it or parking ticket require a small fine, serious violations such as a DUI will make your insurance much more pricey than it needs to be. Certain areas go further than a bill or a slap on the wrist with a DUI charge, as some states will suspend your license, which automatically skyrockets your auto insurance. With much of this relying on the state and circumstances, the average lifespan of a point can range from one to ten years. As smaller violations may last two to three years, DUI and hit-and-run related violations often last ten years depending on the state where it happened. As points are fairly detrimental – and costly – to your auto insurance bill, there’s still hope to get them reduced or removed from your name. Some states offer defensive driver courses that help dismiss a violation before it does damage to your record. With states such as Virginia, a safe driving point snare is offered when a driver goes an entire year without a violation. Although there’s ways to get smaller violations removed or reduced, a serious violation (such as a DUI) may be a lingering problem for years to come.